Microorganisms in the water are exposed to ultraviolet ray at 254 nm wavelenght to ruin their DNA and/or RNA structures made them harmless. 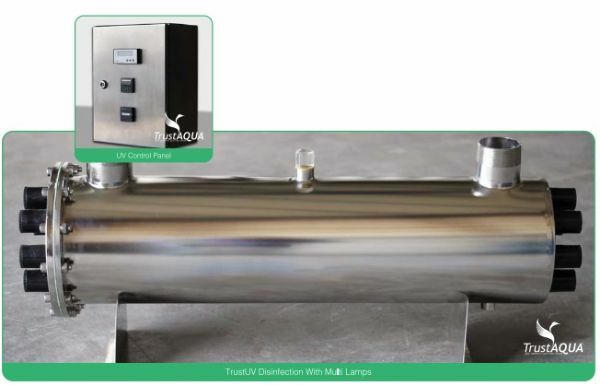 Microbiological treatment process is one of the most effective and most safe method of water disinfection methods. To be able to neutralize the microorganisms with this system, ultraviolet light must directly hit over them. 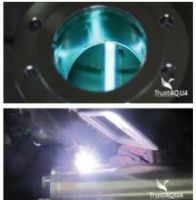 For this reason, before water enters in ultraviolet system, parameters such as sediment and turbidity must be removed. 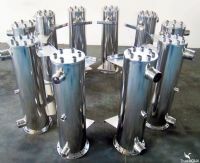 Sand filter or cartridge filters are recommended to be used before ultraviolet. Ultraviolet units are made of stainless steel. For electric waves, lifes of every ultraviole lambs are protected completely by an electronic card and by this way higher efficiency is gained. Digital running meter, audible and visual alarm, UV dosage density indicator are added to standart scope and these specialities which have been option before are offered as standart features.